The US dollar is weaker across the board on Friday. The comments from U.S. Federal Reserve Vice-Chair Richard Clarida on interest rates nearing a neutral rate were dollar negative. Rising optimism about the US-China trade disagreement also depreciated the greenback as investors exited the safe haven of the dollar. Presidents Trump and Xi Jinping will meet in Buenos Aires ahead of the G20 summit with the new comments out of the White House boosting the chances of a positive outcome. Sterling was higher on Friday, but continues to print a 1.12 percent drop as Brexit headlines put downward pressure on the currency. UK Prime Minister Theresa May faces a difficult task as the deal agreed to with the EU was always going to be a tough sell. Resignations in her cabinet have followed as the deal makes its way to parliament with an uncertain fate as too many factions disagree on what now is a final deal with the EU with a fast approaching deadline. The EUR/USD rose 0.84 percent on Friday. The single currency is trading at 1.1419 after US President Donald Trump said that the US may not have to impose addition tariffs on China. Trade war concerns eased as the two leaders have done some work ahead of their meeting in Buenos Aires at the end of the month. Fed members Clarida and Kaplan were both dovish as they focused on lower growth. The market took it as a sign the central bank could tap the breaks and slow down its path of gradual rate increases. The probability of a rate hike in December is down to 65.4 percent from 72.3 percent a day earlier. Given the attention Brexit news got, the Italian budget drama got little attention after comments from the EU made it clear it takes the position of the nation as a challenge of the Union’s budget rules. Both sides are digging into their positions with Italy claiming that it needs the extra budget to boost growth. The EU could start the procedure to issue sanctions this Wednesday. 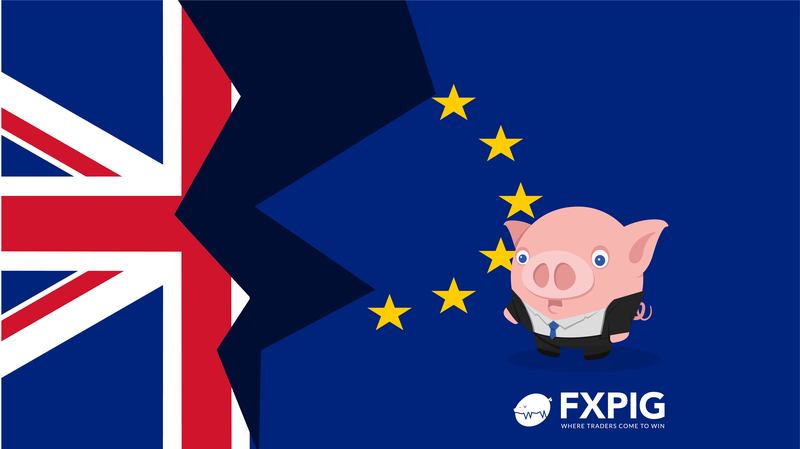 The GBP/USD fell 1.12 percent on a weekly basis, after managing a 0.42 percent recovery on Friday. Resignations at PM May’s cabinet have increased the probabilities of a no-deal Brexit as the UK leadership is questioned at a time when a decision has to be made on the deal at hand. The pound has been sensitive to political statements and before the resignation of Dominic Raab, the Brexit secretary, it had been mostly positive as both UK and EU leaders said a deal was close. With a deal agreed and the publication of the almost 600 page draft members of the cabinet began to resign criticizing the deal. Resignations have come from both the Remain and Leave camps, making the eventual vote in parliament more difficult to predict. Sterling will be under pressure as the European Union has made it known through various channels that the deal will not be revisited in any major way.